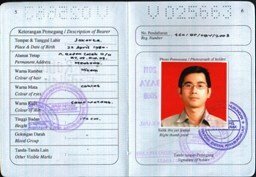 SIRB, otherwise known by maritime workers as seaman book or seafarers identification and record book in the Philippines, is really so easy to apply. Other countries have different system. To know how to get a copy or see requirements, I will reveal them all for your guidance. This is regardless whether you are up for a new application, renewal or re-issuance, on-site and on-board. The guides we have below will help you know how much it costs to apply for the SIRB and what documentary requirements you will need to be able to secure a copy or renew this document as well as how long the processing will take to accomplish a copy. Note that a seaman book is a major requirement before you go on board and be allowed to sail the seas except if you are embarking on a sail as sailors for warships, naval vessels, naval auxiliaries, or a fisherman onboard fishing vessel (regardless of tonnage) engaged in domestic fishing operation. This passport-like document is also where the embarkation and disembarkation details will be stored which has recently become a major requirement in applying for seaman loan in the Philippines. If you want to know more about this, please visit here - http://www.fastloanph.com/seaman-loan.html. 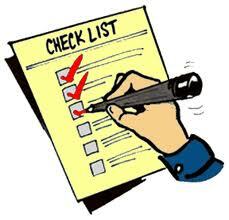 Here is the checklist of requirements that you need to come up with and produce before going to MARINA and apply for a SIRB or seafarer's identification and record book. Be sure to have everything else in photocopy in advance so you won't get into any inconvenience. Who May Apply for a Seaman Book? In order to know if you initially pre-qualify to apply for the SIRB, here are standards as presented by MARINA website download file. You may get an application form at their office in Kalaw cor Taft Avenue, formerly Masagana Superstore building. For SOLAS inquiries, you may visit here - https://www.mypilipinas.com/solas.html. 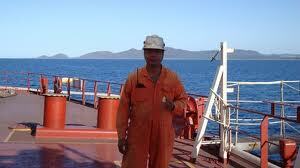 Filipino Citizen, 18 years of age except for cadet applying for issuance of SIRB for shipboard apprenticeship training who must be at least 16 years of age. Ship officers, ratings, cadets, service providers, company representatives and fishing vessel personnel who is engaged in any capacity onboard a Philippine-registered ship 35 GT and above. 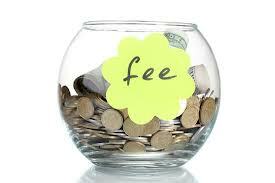 How Much is Processing Fee of Seaman Book? If you are to ask me how long it will take to process this document, below is the actual time it will take before you can secure a copy of the SIRB or seaman book as well as how much you expect to pay for processing fees. Application schedule is available daily, from Monday to Friday from 7:AM – 6:00 PM without noon break. For those who want to apply for seaman loan, you may download a copy of the list of requirements here. If you should ever need financing for personal, business or other needs, you may opt in to apply for a seaman loan with lowest interest. Announced last August 18, 2014, as per press release by MARINA (Maritime Industry Authority) and in cooperation with DOTC (Department of Transportation and Communications), online appointment system will soon be opened up for seafarers who are away or may not be instantly available to apply for a copy of the seaman book in accredited offices. Thru online appointment system, Seaman’s Book or Seafarer’s Identification and Record Book (SIRB) and STCW Certificate of Proficiency (COP) / Certificate of Competency (COC) will be easier to acquire for many Filipino sailors with the help of Seaman Jobsite. To confirm implementation, latest news and availability of the SIRB application online appointment system, please visit or call MARINA office in their contact details below.